Speaking the same languages as engineers and their clients. Commercial swimming pool projects invariably mandate that Sunset Pools’ designers and project manages speak the language of all the involved parties as well as taking into account the varied ambitions of each vested interest group. 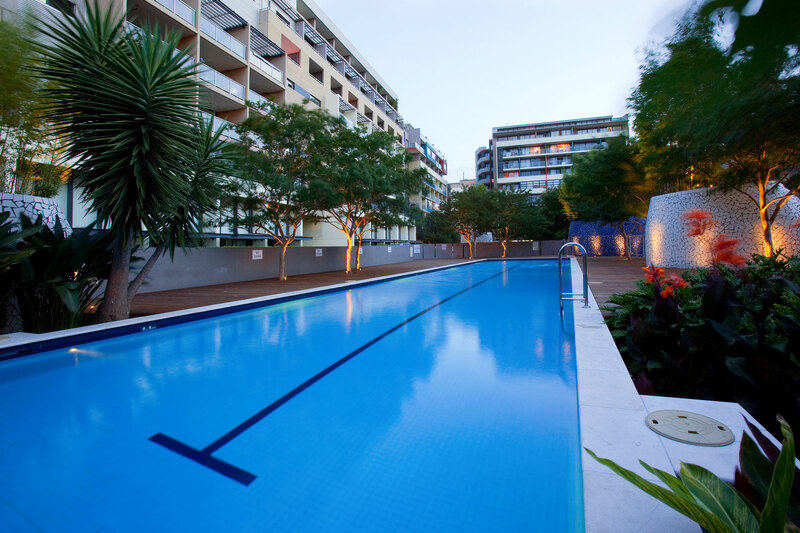 This swimming pool reconstruction project recently completed in a Sydney inner suburb epitomises the sort of complex assignment where Sunset Pool’s coordination aptitude and multi-disciplined language and liaison skills prove repeatedly invaluable. In this example the plans and objectives of the appointed structural engineering firm needed to be managed and balanced with the interests of three body corporate boards and an executive development committee who collectively represented the aspirations of the 350+ pool owners. In addition, strict public health regulations plus load and access restrictions also played their part. 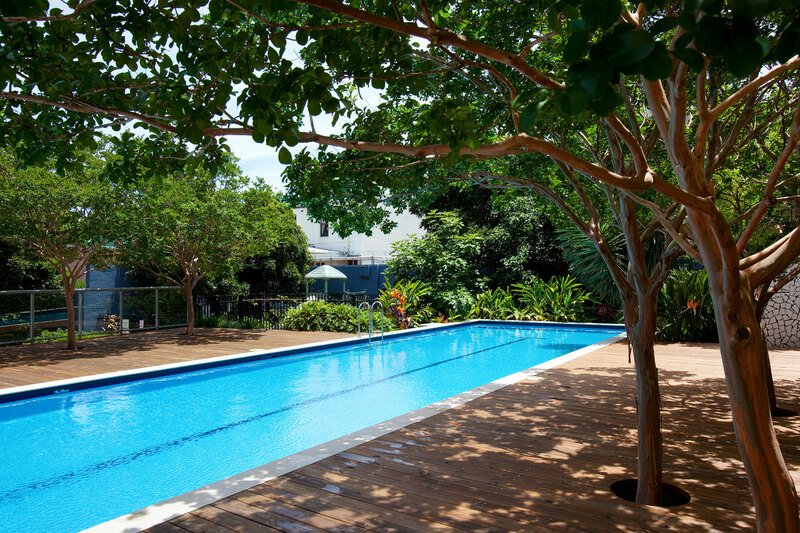 Now in use year round, this 25 x 5 metre heated commercial swimming pool has a 10 year warranty on its fully tiled interior in addition to many significant operational enhancements that will reward the engineers and owner’s appointment of Sunset Pools for many years to come. Architects, civil engineers, project managers and council planners agree that Sunset Pools design, build and refurbish swimming pools to the highest commercial standards. Call 1300 000 412 to discuss your plans or complete the enquiry form for assistance completing them. This project’s high specification called for Sunset Pools to utilise the same sophisticated pool waterproofing methods and materials employed within Dubai’s world famous “Burj Al Arab Hotel,” and Norman Foster’s iconic “Gherkin” tower in London. Sunset Pool’s project management plan was tailored to meet the development’s exacting standards and overcome the additional challenges imposed by the local authorities. A 3.5 Ton weight restriction on the location’s inner city access roads, compounded by the absence of any practical on-site vehicle access, made concrete pours, material and equipment deliveries quite demanding (to say the least!). Excessive and unseasonal heavy rain plus multiple project variations were masterly accommodated to keep the project progressing along its critical path and meet contract milestones without compromising quality control or incurring additional costs. Challenges of this complexity are exactly the types of construction projects where Sunset Pool’s project and quality management abilities come to the fore. Whilst Sunset’s quality manager made certain that the aspirations of the precinct’s residential community as well as retail operators, commercial suite owners and non-resident investors (whose interests were focused on their property’s value), were all fulfilled. Sunset’s project manager also worked to ensure that the structural engineer’s responsibilities were simultaneously achieved. 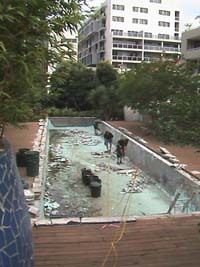 The development’s original pool shell and interior were in very poor condition. Water filtration and sanitisation systems were in disrepair rendering the pool both unattractive and a qualified risk to public health. All but the reinforced shell needed removal before remedial concrete cancer (rust treatment) was completed. Eight new reinforced concrete skimmer boxes, with a tolerance of just two millimetres (2mm), were formed and incorporated into the pre-existing structure. All new water management and utilities ducting was then integrated to accommodate two independent Waterco commercial filtration systems, fully automated water monitoring and sanitisation plus the introduction of an 80kW heat pump. 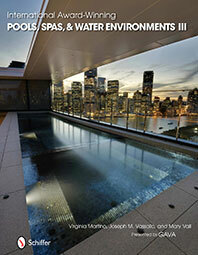 Sunset’s multilayer replacement of the shell’s lining was formed over a rendered Laticrete load-bearing waterproof membrane before the pool’s interior finish was completed with bright new tiles and Laticrete epoxy grout. 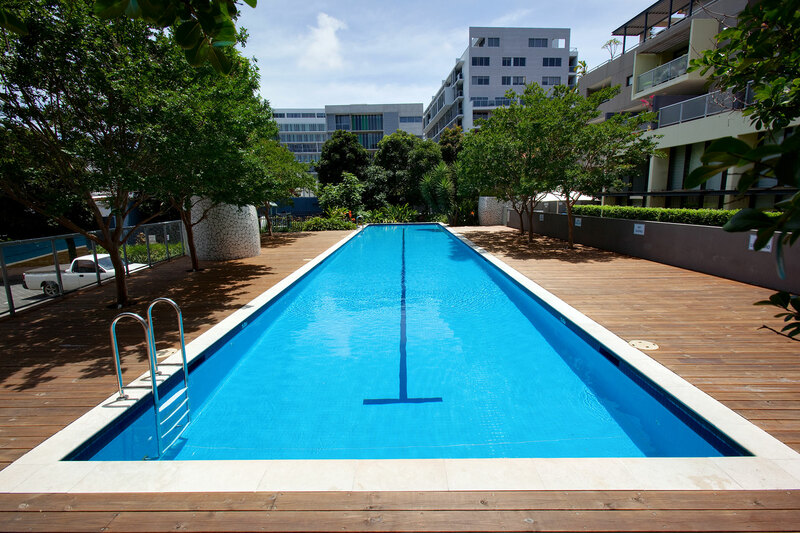 The swimming pool’s fully tiled interior and Drytreat sealed limestone coping sets off the wide expanse of “Rougher headed” pinewood decking that extends on all sides and establishes the pool within its contemporary urban environment. When developing the commercial pool heating, water management and sanitation systems, Sunset’s particular focus was the long term cost of ownership. A critical factor, so often avoided by others, when considering a project’s up front costs. 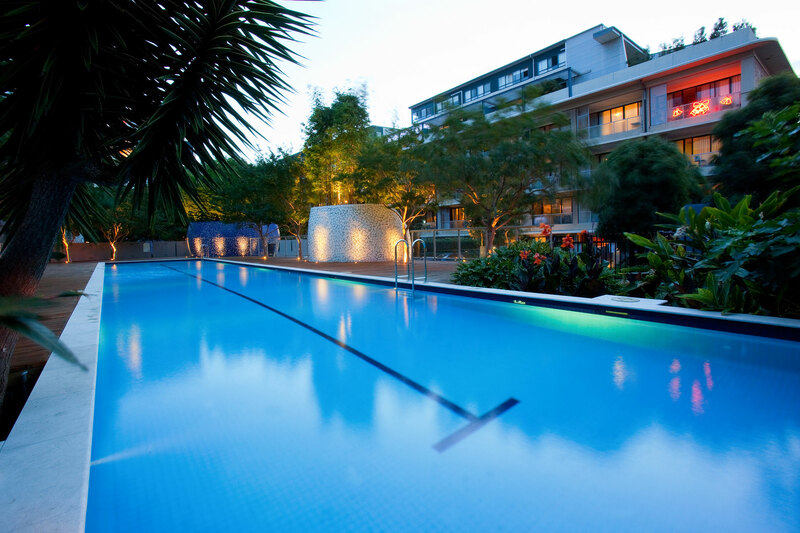 Sunset Pools take a life of ownership view that identifies what regular savings can be expected, their positive effect on minimising body corporate levies and recurring pool maintenance overheads. 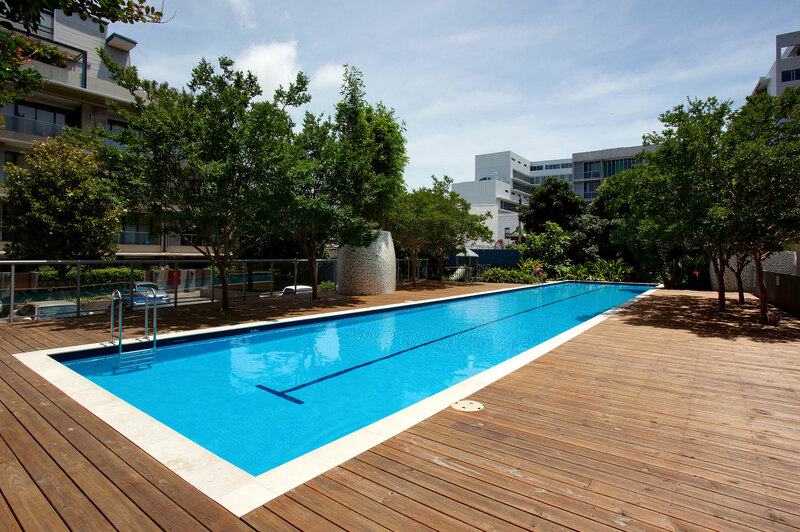 In addition to maintaining a constant twenty six degrees (26OC), the complex’s pool has to remain an asset that adds value to each resident and owner’s investment plus a welcome addition to the community’s lifestyle.. Flanked on three sides by high-rise apartment blocks, both the pool’s interior and its surroundings are illuminated and defined with “Lumascape” stainless steel light fittings, highlighting this natural and tranquil hub, to this prestige residential development, both night and day. Diplomacy is among the many demanding requirements that set Sunset Pools apart when successfully balancing the needs of disparate interest groups in an individual, contemporary and attractive addition to their communal leisure environment. At the end of the day you can rely on Sunset for a superior and award winning designer pool, plus an enhancement to the complex’s common property and physical assets. Sunset Pools are the designers and pool builders of choice, invariably shortlisted for demanding and exacting commercial and municipal swimming pool projects by enlightened civil engineers, professional project managers, urban developers and savvy council planning departments. Always approachable, Sunset Pools look forward to discussing your next project, and collaborating with innovative commercial and municipal clients who aspire to share in the recognition and delighted of an award winning designer swimming pool. 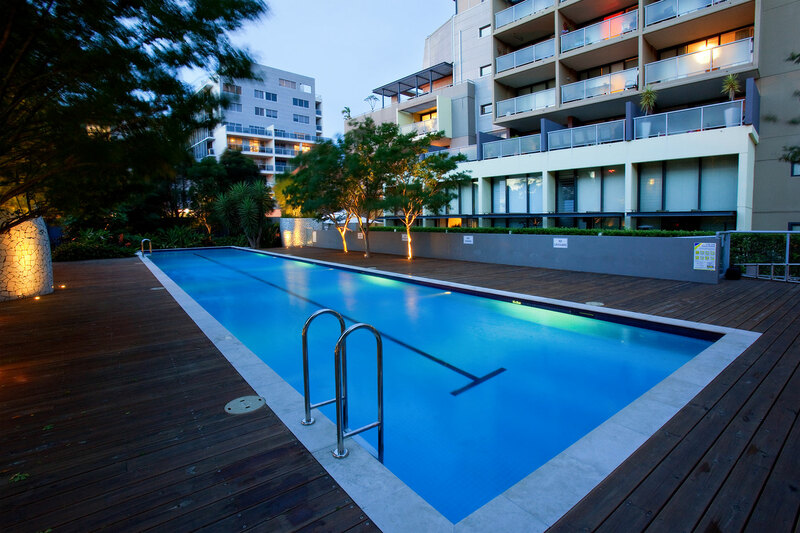 Call on 1300 000 412 to discuss your plans or complete the enquiry form and have Sunset Pools assist you in creating seven star results that you can take pride in.